LOS ANGELES , CA, U.S. , October 24, 2018 /EINPresswire.com/ -- Fast-rising producer/singer/songwriter Lisa Dawn Miller – daughter of famed Motown songwriter, Ron Miller, and producer and co-star of the critically acclaimed musical, “Sandy Hackett’s Rat Pack Show” – announces the launch of LDM Publishing. The new LDM Publishing website showcases the younger Miller's complete music catalogue and is now online at https://ldmpublishing.com. Lisa, produces and directs creative projects across a broad spectrum of artistic platforms, with a core focus on songwriting. Creativity is part of her DNA. Lisa’s father, Ron Miller, penned numerous classic hits including “For Once in My Life,” “Touch Me in the Morning,” “A Place in the Sun,” “Heaven Help Us All,” “Yester-Me, Yester-You, Yesterday,” "If I Could,” “I’ve Never Been to Me,” “Someday at Christmas,” and many more. LDM Publishing, in partnership with the Ron Miller Songbook Publishing Company, LLC (to be launched later this year), manages the Ron Miller song catalogue and is building the largest collection of reimagined masters which include timeless standards and newly discovered songs. To license the music, interested parties can go to the LDM Copyrights portal at https://ldmpublishing.com/catalogue/ and sign up to browse the entire song and masters catalogue. Song titles, lyrics, artists, genre and mood are all easily searchable. Visitors to the site may easily create, save and share playlists and submit licensing requests directly online. "I have such a great reverence for the legendary songwriters of yesteryear, especially my dad," Miller says. "As a songwriter, I aspire to write timeless, lyric-driven songs that will stand the test of time for generations to come. LDM Publishing is synonymous with quality. Not only are we writing the standards of tomorrow, we are the home of the largest collection of reimagined masters for my father's extraordinary song catalogue," Miller continued. Lisa is also the producer of the hit musical, “Sandy Hackett’s Rat Pack Show,” currently in its 9th season. Its 2018-19 national tour includes performances at Pikes Peak Center, Tilles Center, Thrasher-Horne Center, Reynolds Performance Hall, Valentine Theatre and the Barbara B. Mann Performing Arts Center. She stars as Ava Gardner in the show alongside her husband, Sandy Hackett (son of legendary comedian, Buddy Hackett), who stars as Joey Bishop and co-produces. Lisa has released several original songs including “It’s Time,” “This is the Moment” and “Today,” also available on iTunes, Amazon and Spotify. She made her debut as a songwriter with her 2016 EP releases, "Hello You," and "My Turn Begins Today." Miller currently has several projects in the works including a new musical about her father entitled, “For Once in My Life” and a new musical comedy, “Growing Older.” She recently appeared at Motown’s Heroes and Legends Awards, performing her father’s song, “For Once in My Life,” in support of youth in the arts. 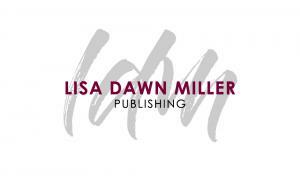 For the latest news on Lisa, visit https://lisadawnmiller.com, on Twitter, Instagram, Facebook, and YouTube.